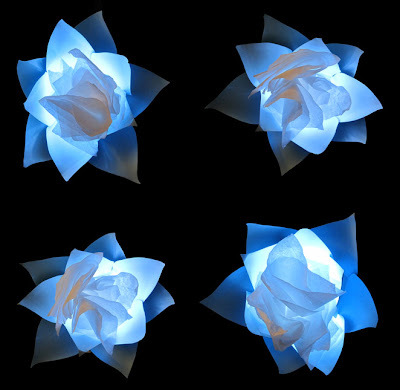 I've been experimenting with some LED lights I got from IKEA and some 5-petal flowers I made from baby blue card stock, and the results can be seen in the following images. 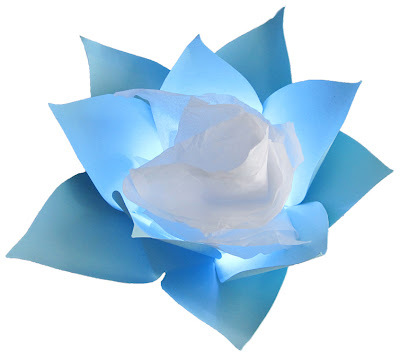 The LED lights are battery operated with 10 white lights in a row. 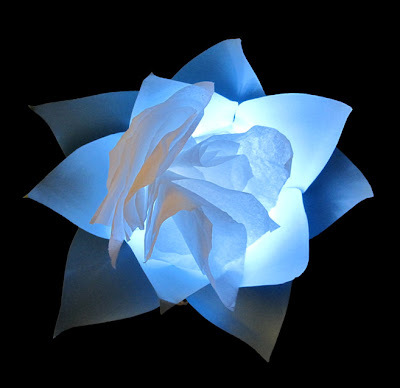 I glued 2 5-petal leaf flowers and then poked 10 little holes for the lights. 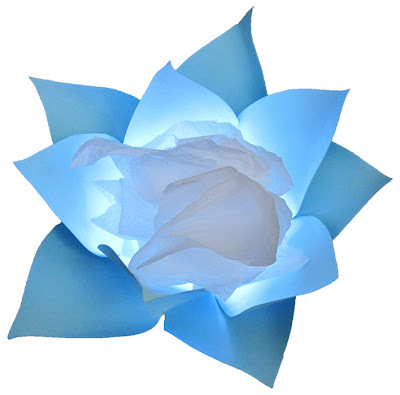 Once they are lit, the glare of the LEDs is pretty sharp, so to diffuse it I used white tissue paper curled up in the shape of an abstract rose and glued to the smaller of the two flowers. You can see how sort of eary they look in the dark. I think I'll create a few more just to see how they would look scattered about the room. These are so pretty! would love to see them in a spa setting. Thanks Liz! 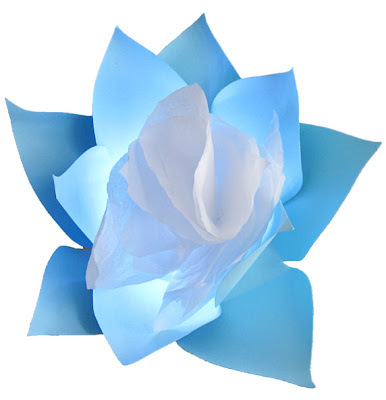 I'm currently working on other flower lights, so it won't be long till I post the new pics.